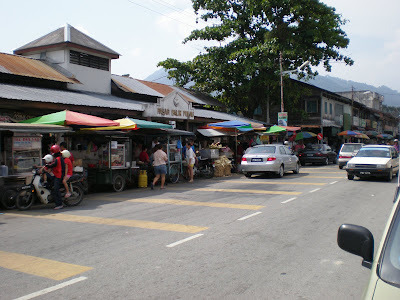 the less well known Balik Pulau market packed with hungry streetfood connoisseurs from near and far. Everything is here ! 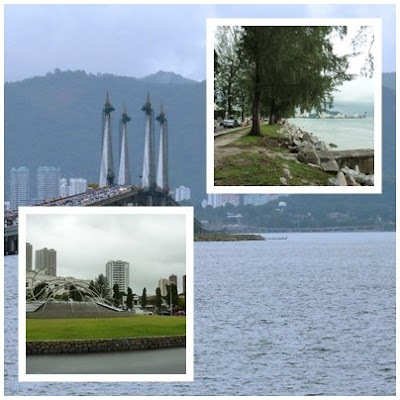 No need to go to Penang ( errrrr...actually it is in west Penang ) ! 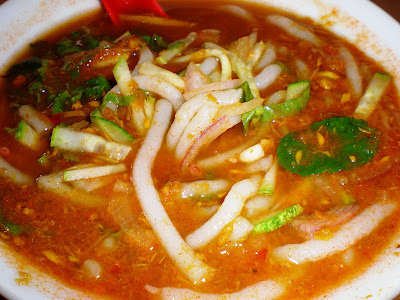 I lurve asam laksa, but somehow the asam laksa in Penang always seems overrated. Maybe I haven't found the right stall yet. Yerrrrr this few posts has been showing all my favourite food... Or No in fact this whole blog always shows my favourite food.. Sei ler... Now is 4 am here in the morning and I am craving for ASSAM LAKSA!!! many apologies but also happy you can imagine home so well ! dude, i dunno why, but i agree with u on this one, reason being is there is an upcoming project in balik pulau nearby and i did drop by this very particular place.....quite superb and did made an impression!!! it certainly is a great place for a variety of food ! Just wish to comment on the Balik Pulau assam laksa. I am a Penangite and have been constantly eating assam laksa in BP, however the stall posted here is not where i used to frequent with my outstation friends and guest, and recommended to everyone else whom i know. This particular stall was formerly situated in front of the old wet market along its corridor ( which had already been torn down ), along with the famous pasembor ( which is called 'rojak' in KL and Malacca ). 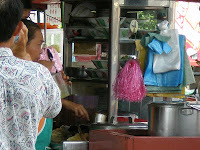 The owner Ah Teong, has since moved his stall directly opposite across the road at Kafe Chuan Hong. It's just at the roadside. He inherited his father's biz and continues operating for more than 30 yrs. One cannot be wrong when you ask for Laksa Teong! tks for your comments. We have in fact tried another stall ( probably this one you have mentioned ) at a later visit and have a post( with the man's pix ) on this too ! 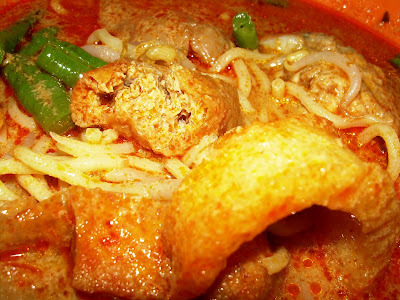 Plse check our other post on "assam laksa" . Yes assam laksa is popular nation-wide and one of us bungkus many packets from the famouus Ayer Itam one for his 2 college daughters each time he goes to Penang ! 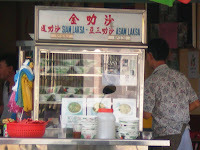 tis not famous laksa in balik pulau...actually is another stall..hope all of u check carefully before going..they are LIAR.. The original balik pulau laksa, previously at the old market, is now opposite - at Kafe Chuan Hong. That's the real laksa with oomph! There is another outlet at the new market - same owner. Don't forget to try the 'pasembur' too!